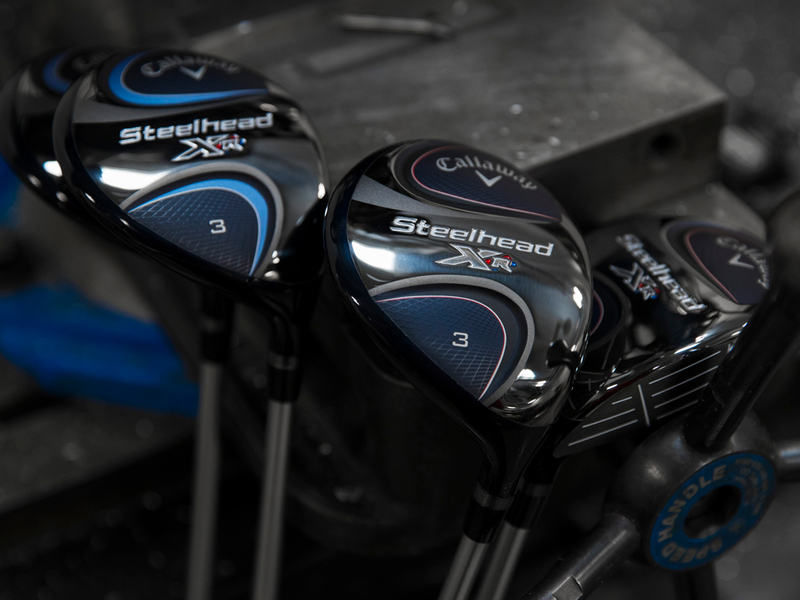 The Women's Steelhead XR Fairway Wood combines iconic versatility of the Steelhead shape and our refined modern Hawkeye Sole with power-producing technologies, led by our Hyper Speed Face Cup and lightweight J-36 carbon crown. Our next-generation Hyper Speed Face Cup is exceptionally efficient at delivering fast ball speed and distance across the entire face, especially on mis-hits. Stock Mitsubishi Tensei CK shaft is designed and engineered to deliver the optimum balance of power and control. 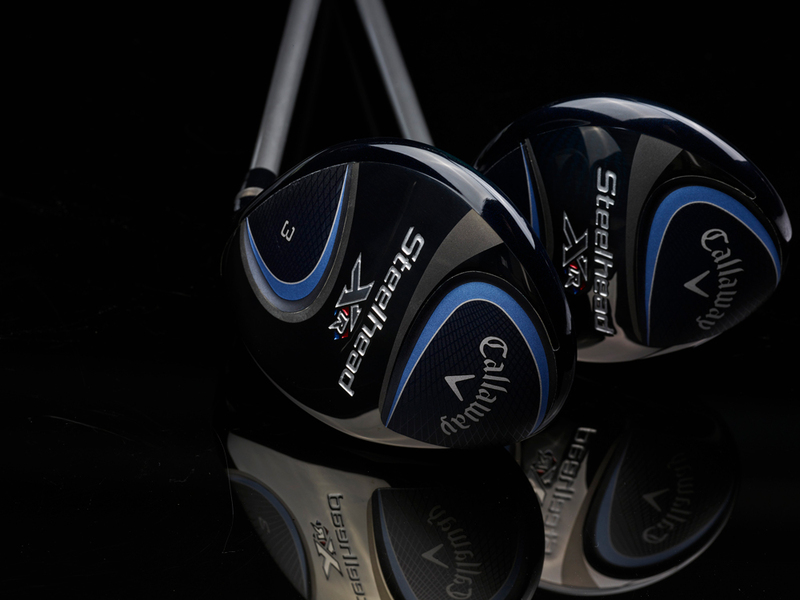 Women's Steelhead XR Fairway Woods is rated 4.8 out of 5 by 6. Rated 5 out of 5 by LadyGolfFanatic from Easy to hit! I wanted to find a club that flew longer than my 3 hybrid, while still easy to hit off the fairway grass. My traditional 3 wood didn't fit the bill. 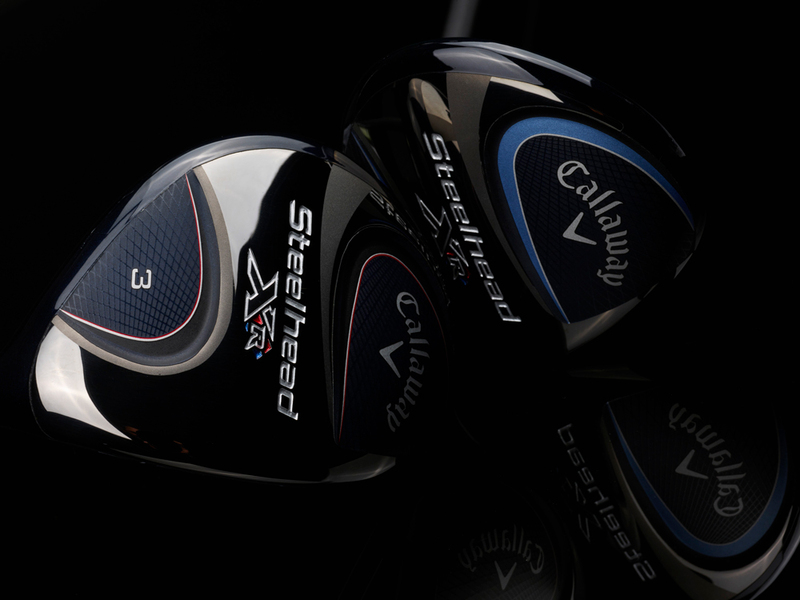 At a demo day I tried the Steelhead XR 3 wood, and zoom! Long, easier to flight and consistent! Bought one on Calloway Preowned and I'm delighted with it's performance! Rated 5 out of 5 by Coco from The 3 wood is great! This is the third Steelhead club that I have bought from Callaway Preowned. I bought a 3 wood, 5 wood, 3 hybred. I love all three. I love the look, the sound, the feel, the grip, the distance and accuracy. I am a 72 year old woman with a 20 hdcp. Rated 5 out of 5 by PINHEAD from REALLY EASY TO HIT I AM A FEMALE GOLFER WHO ALWAYS USED SENIOR SHAFT CLUBS UNTIL RECENTLY.. DUE TO BACK PROBLEMS I NEEDED A SHORTER AND LIGHTER SHAFT IF I WAS TO CONTINUE PLAYING GOLF. THIS CLUB IS EXTREMELY EASY TO GET AIRBORNE EVEN IF YOU DON'T MAKE A GOOD TURN IT ALSO ROLLS A LOT ONCE IT HITS THE GROUND SO EVEN THOUGH YOU GIVE UP SOME DISTANCE BECAUSE IT IS A SHORTER SHAFT, YOU WILL GET THE SAME OR MORE DISTANCE DUE TO THE ROLL. I HIGHLY RECOMMEND THIS CLUB FOR ANY FEMALE GOLFER OR FOR A MALE GOLFER WHO NEEDS A SHORT LIGHT SHAFT. Rated 5 out of 5 by BA Golfer from Steelhead Pro is Impressive, Superior Distance and Control I had a set of 2015 "XR - 4 through GW with UST Recoil 680 Stiff Shafts and upgraded to the 2017 XR Pro and very impressed with the new irons. Smaller offset is better for me! Black/Dark Gray head aids in face alignment regardless lie. What I am most impressed about is the distance control and feel. I was fit for these clubs and ordered the right shaft which for me is the UST Recoil 780 stiff. These are just perfect for my swing. Small upgrade price is worth every penny. 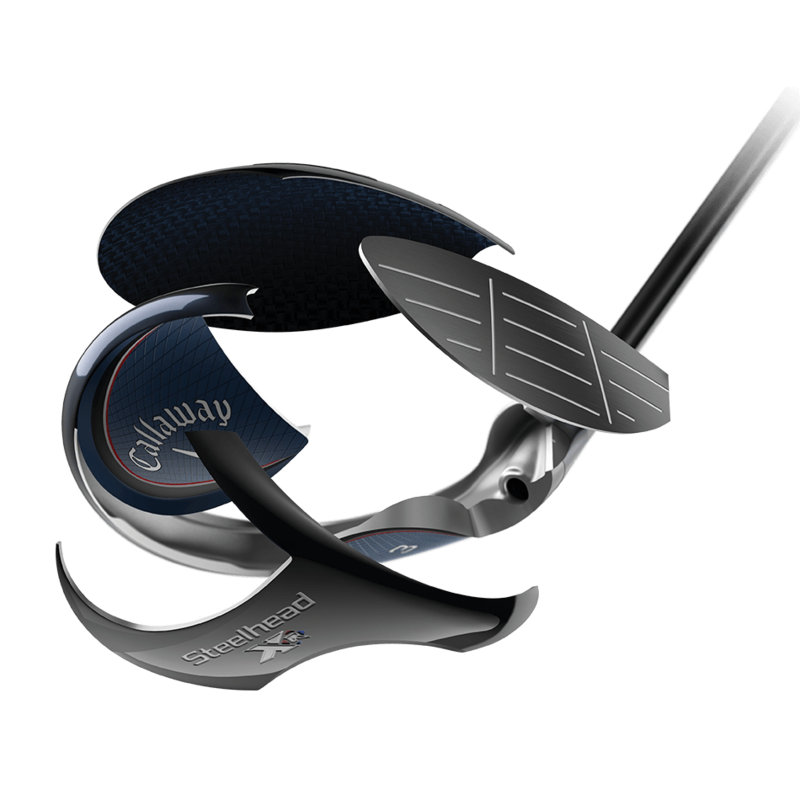 Best of the best from Callaway, Not for every golfer but those who want less offset it is perfect! Make sure you are fit for the correct Steelhead! Makes all the difference! Shafts are so important, don't over look this factor in your game! By the way I am 65 and a 4 handicap. And I play most courses at between 6400 and 7000 yards, depending on the course. Rated 5 out of 5 by Lady Golfer from These fairway woods feel good to swing and I love the control. I first bought a 9 wood and liked it so much I ordered a 3 and a 7 wood. I am happy with all 3 clubs. I like the feel and control. Rated 4 out of 5 by Bonnieb from Beautiful club I love the looks of the club. For some reason, I hit it right. Not sure If the shaft is too soft or what. I know it’s flatter.......(I like that since I’m short). So, will try to iron it out. If I can’t, I’ll opt for an A or R shaft since my other club shafts are stronger. I chose the ladies’ on a whim...might have been the wrong choice.....we’ll see.